Quality control is very important to ensure you’re reproducing the expected result that customers have come to rely on. With the right business application, you can find problems before they’re discovered by the customer. 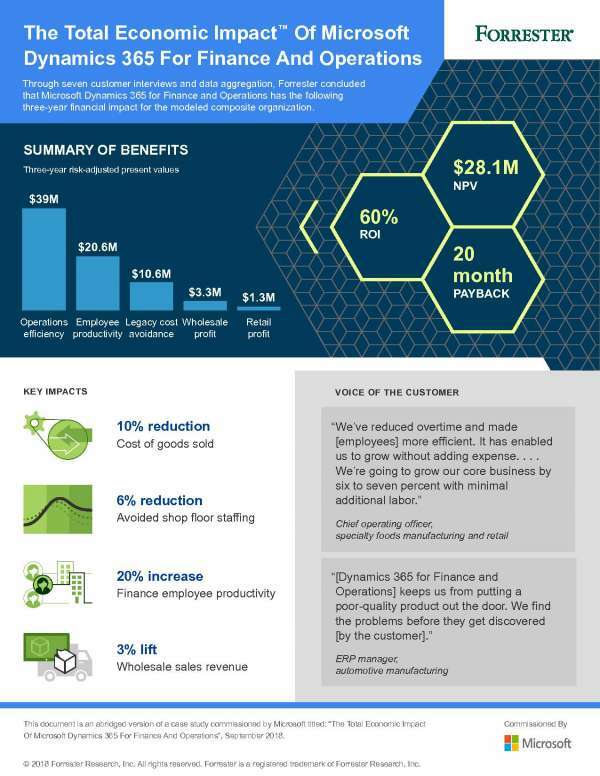 Read more about the total economic impact Dynamics 365 for Finance & Operations can do here. At VetaTek, we have the tools to help you find and integrate the best set of applications for your specific need case. Contact us today to learn more about our dedicated staff and the resources we have to help you accelerate your transformation.